Stop ironing! Make it easier and faster to remove wrinkles with garment steamer with hanger. 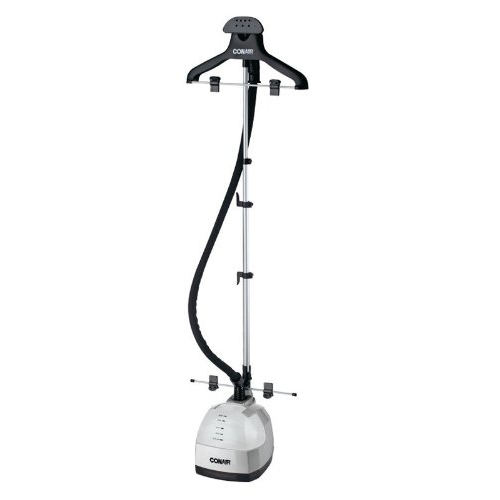 Garment steamer easily smooth and freshen your garments. The hanger will securely hold garments in place while steaming. Perfect for every laundry room. Never leave the house with messy, wrinkled clothes again. 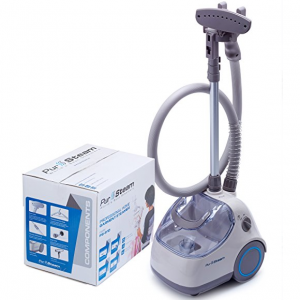 Remove tough wrinkles from any garment easily and quickly with the PureSteam XL – High-Powered Standing Fabric Steamer. Delivering 1500 watts of steaming power, this fabric steamer also effectively deodorizes fabrics and kills bed bugs and dust mites. Its telescopic pole can easily adjust to user height and detach for easy storage. Rolling casters offer mobility to the areas where you need it most. Garment hanger and fabric brush attachments included for easier and more effective steaming. Finally, a powerful steamer that provides ultra-reliable and professional-quality results every time. 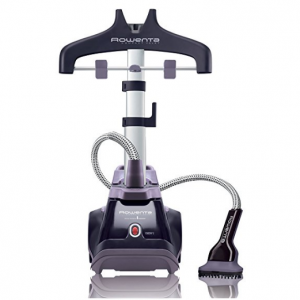 The Rowenta IS6202 Partner of Fashion Full Size Garment Steamer offers powerful 1500W steam that can remove wrinkles, kill germs, reduce dust mites, and eliminate smoke and other odors from fabrics. It comes with a stay-cool handle, a flexible fabric hose, and a large steam head with wide diffusion for fast results. Built-in hanger with garment clips and hook help keep fabrics in place. 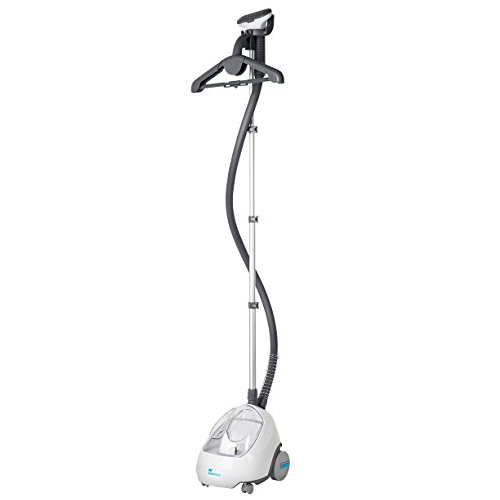 Also features telescopic pole, foot-operated on/off switch and large back wheels. Your search for the powerful, strong, sturdy steamer ends here. The PurSteam PS-910 Heavy Duty Powerful Fabric Steamer has a large capacity 61 oz tank that heats up in 45 to 60 seconds and provides 60 minutes of stable steam. With up to 248 °F steam, the steamer can release wrinkles and also kill up to 99.9% of germs. Telescopic aluminum pole is collapsible for ease of storage in between uses. Comes with fabric brush and garment hanger. 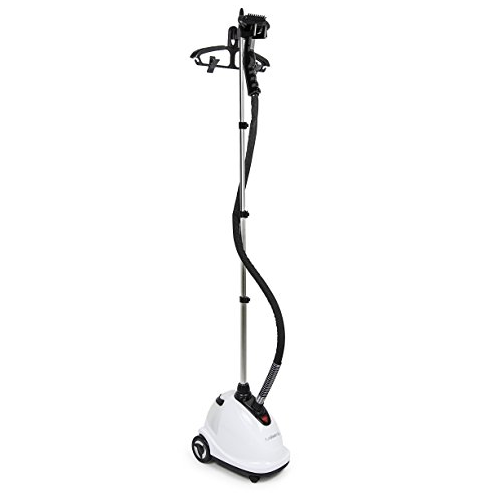 Compact, yet powerful, the Conair Garment Steamer is your excellent choice to smooth, de-wrinkle and freshen clothing, drapes, upholstery, and more. This garment steamer with 1500 Watts of power takes only 35 to 45 seconds to heat up and will give you 90 minutes of constant steam. There is a 360-degree rotating hanger for a perfect, all-around wrinkle release. Clips for easily de-wrinkling pants. Roll casters for easy mobility. Looking for an effective and reliable steamer? 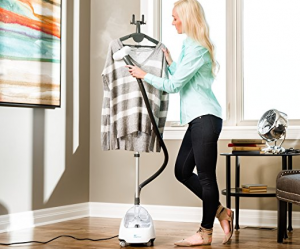 Turn to the Steamfast SF-520 Fabric Steamer. This steamer provides hot steam that penetrates deep into fabrics and relaxes fibers to release wrinkles and and freshen clothes. It has a 70-ounce capacity removable water tank that heats up in 45 seconds and provides up to 63 minutes of continuous steam. Also includes 5-foot insulated hose, telescopic pole, clothes hanger, attachable fabric brush and integrated cord wrap. 5 Best Shark Steam Mop – Simplify your cleaning task.